The Visitation of of the newly pregnant Virgin Mother of God to her also pregnant, but older relative Elizabeth has long been an event of singular fascination. Luke's account highlights Elizabeth's uniqueness in having already been let in on Mary's secret in time for Mary's arrival, thus making them at that moment the only two people on the entire planet aware of what a wonder God was doing in the world. That gave their meeting a unique intimacy - as suggested, for example, by the beautiful statue (photo) at the supposed site of the Visitation in the ancient village of Ein Karem, which is now a neighborhood in modern Jerusalem. A feast of medieval origin, the Visitation was happily celebrated for centuries on July 2 (to connect it closely with the feast of Saint John the Baptist), until the Paul VI calendar transferred it to today. German Catholics, however, continue to celebrate the Visitation on its traditional date - as do Anglicans and Lutherans. The Visitation is also the 2nd Joyful Mystery of the Rosary. It invites us to meditate on Mary's rapid response to the prompting of the Holy Spirit in her readiness to offer direct personal assistance to her relative in need. But there is also another dimension highlighted by the feast - the sanctifying action of divine grace in the (as yet unborn) John the Baptist, whose "leap for joy" then graces his mother, making possible her greeting of Mary. In the intimate interaction of the two pregnant mothers, their sons are already at work - Mary's Son bringing grace, Elizabeth's announcing it. And their mothers - alone at that moment among the human race - respond with some of the most famously eloquent words of prayer and praise ever uttered, prayers repeated daily in the piety of people and in the liturgy of the Church. Thus, the Venerable Bede called it "an excellent and fruitful custom of holy Church that we should sing Mary's hymn at the time of evening prayer." In our over-familiarity with the sacred words, we routinely recite the Magnificat (and even more so the Hail Mary), almost unmoved by the mystery at work in what is being recalled. Such routinization is inevitably inherent in our familiarity with the sacred. But such familiarity is in another sense what the Incarnation intends to accomplish. The encounter between Mary and Elizabeth and the spiritual energy it generated actually highlights how mystery penetrates the mundane - and challenges us to be alert to respond to it in the ongoing Ordinary Time of daily life. 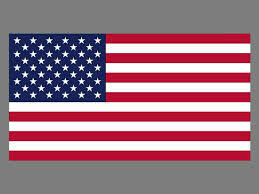 Many of us are old enough to remember Memorial Day's original name - Decoration Day. The holiday began as the day to honor the dead from the Civil War by decorating their graves. Eventually, it became the day to honor the graves of all veterans, but for a long time the emphasis remained on visiting and honoring the their graves. Even today, when Memorial Day has become just another day for shopping, sporting, and picnicking, volunteers still visit cemeteries to put flags on veterans’ graves – a reminder of the importance of remembering and of the special places of memory we call cemeteries. In Italian, the word for cemetery is campo santo – literally, “holy field,” or, as we would say in common English, “holy ground.” Cemeteries are special places for us – special not just because they are blessed by the Church and marked by beautiful monuments. They are special places because this is where we remember those who have died, who have gone before us in life, our cherished past to whom we owe our present. Remembering is one of the things that especially makes us human. To remember those who have died, as our nation does today and as we do whenever we visit a cemetery, is to acknowledge the importance of their lives - and the common humanity, which we share with them in life and in death. Remembering is also one of the things that especially makes us Christian. To remember those who have gone before us in faith, as we do especially here today but every day at every Mass, is to celebrate the multitude of ways in which the grace of God touched and transformed each one of them in life - and the hope we still share with them in death. So it is good that we gather together today, to remember and pray for our brothers and sisters whose bodies lie here in this holy ground. It is, as the author of the book of Maccabees has reminded us, a holy and wholesome thought to pray for the dead, that they may be purified from their sins and welcomed among the saints, as we too hope someday to be welcomed with them forever. Homily, Memorial Day Mass, Calvary Cemetery, Knoxville, TN, May 30, 2016. Once upon a time, ordinations were commonly celebrated on Ember Days - penitential days that occurred (until 1969) four times each year. In Rome in those early centuries, the Ember Saturday in December seems to have been the major ordination date. The Ember Days are a mere memory now, of course, and the ordination rite has lost any trace of its onetime connection with penitential liturgy. Ordinations are now festive occasions par excellence. It is almost as if, as the number of ordinands diminishes, we all appreciate them all that much more! One consequence is certainly the large number of priests who turn out for ordinations nowadays, which makes the ceremony longer, but that much more moving! 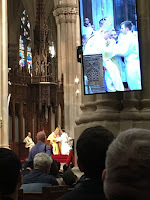 Saturday, I went home to New York for the ordination of a former Saint Paul's parishioner, a veteran of the parish Young Adult Ministry in the 2000s, who was ordained for the Archdiocese of New York - one of 14 ordained by Cardinal Dolan in a truly festive celebration. It was actually the first of three ordinations I will be attending on consecutive Saturdays. This coming week will see the ordination of a new priest for the Diocese of Knoxville, followed the following week by the ordination of some 24 new permanent deacons, one of them a parishioner at Immaculate Conception. It was hot in New York and crowded, and I was truly tired out by the end of the day. But it was a beautiful and joyful celebration not just of the sacred priesthood but of the Risen Christ's continued presence in his Church - a sign (notwithstanding everything to the contrary) of a future for he Church full of promise! In the calendar of the Universal Church today is Corpus Christi, the Church's annual recollection of the joyful side of Holy Thursday and a celebration of the ongoing centrality of the sacrament of the Eucharist in the Church's daily life. Like Epiphany and Ascension earlier in the year, Corpus Christi is postponed in the United States until next Sunday. But today is its proper day. And in Rome the Pope will celebrate it in suitable splendor with Mass at the Piazza San Giovanni Laterano followed by an outdoor eucharistic procession to Santa Maria Maggiore for Benediction (See photo above from 2015). The symbolism of Thursday for this feast is obvious, which is why it has historically been assigned to this Thursday after Trinity Sunday (until 1969 the first Thursday after the Easter season). The historic (pre-Paul VI) liturgy for this feast was ostensibly composed by Saint Thomas Aquinas in 1264. Pius Parsch famously called it "a perfect work of art," in which "we constantly uncover new evidences of structural grandeur." A prime example of such grandeur if, of course, the magnificent sequence Lauda Sion. 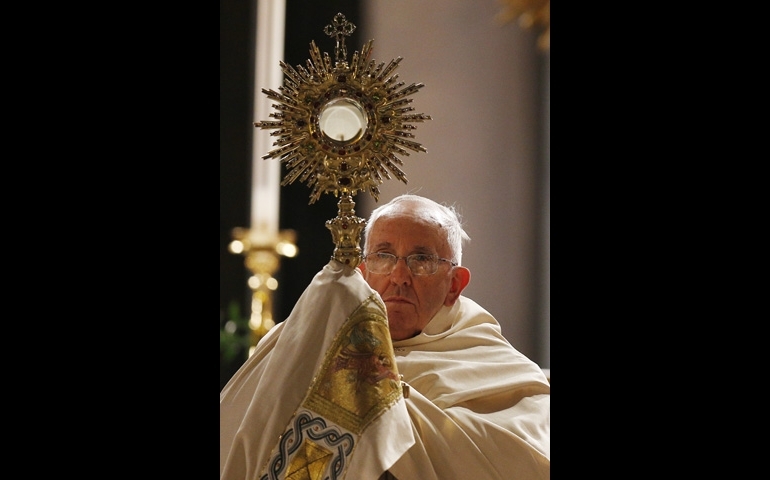 At the contemporary papal liturgy and traditionally throughout Christendom, Corpus Christi's distinctive characteristic has been the eucharistic procession. The procession is a public witness of the Church’s belief in and popular devotion to the sacrament of the Eucharist. Here in the United States, such processions are a relative rarity, though they do occur here and there. A more traditional word might be”awesome” – a word which really used to mean something before it became a contemporary synonym for “nice.” Thus, we used to start the Mass for the Consecration of a Church with the words of the Patriarch jacob in Genesis: How awesome is this place! This is none other than the house of God; this is the gate of heaven; and it shall be called the court of God [Genesis 28:17]. But back to 1984. That summer, as a seminarian stationed in Toronto, I was assigned to visit Catholic patients in the local hospital. (It was a dreadful old place, that has since been torn down) One day, as I was doing my regular hospital visit, I found myself trying to communicate with an elderly, totally non-English-speaking, Hungarian woman, whose name was on my list, but who clearly had no notion who I was or why I was visiting her. Such experiences, of course, contribute to feeling inadequate, which, in turn, further fosters frustration. And frustrated was exactly how I felt. Frustrated and impatient with the whole situation, all I wanted to do was get out of there as fast as possible. But I was also – or at least wanted to be - conscientious about my duties, one of which was to bring Holy Communion to the sick. So, I took out a Host and held it up for her to see. Suddenly, her confusion about who I was and what I was doing there no longer seemed to matter. I no longer mattered. The sight of the Host resulted in instant recognition. She made the Sign of the Cross - and began to pray. In all these intervening years, I have never forgotten my meeting with that devout old woman in that otherwise depressing place - and what that experience impressed on me about the power and importance of the Eucharist, whose minister it is now my privilege to be as a priest. Experiencing her response to the Real Presence of the Risen Christ – the real, body-and-blood presence of our living and loving Lord, present and active in his Church - impressed on me the meaning of those familiar and seemingly simple words of St. Paul: The bread that we break, is it not a participation in the body of Christ? [1 Corinthians 10:16]. In both good times and bad, in sickness and in health, Christ is present in the Eucharist, and we in turn experience his presence and share in the new life he offers the world through his Church. 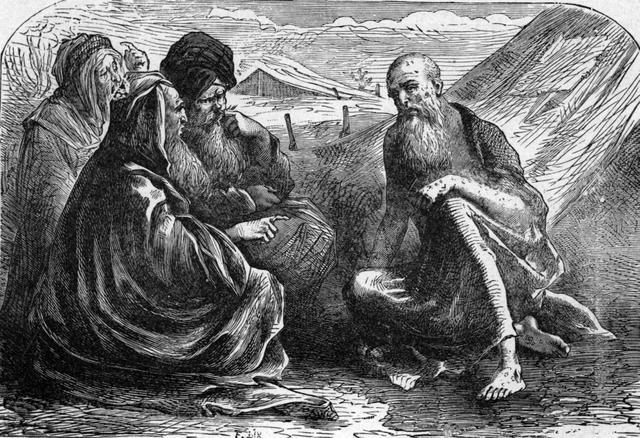 This week and next, the daily reading in the Divine Office is from the book of Job. It is a challenging book, which is supposed somehow to say something about the problem of suffering, but which for many may leave as questions unanswered. I confess I have sometimes found myself sympathizing with one of Job's friends, Bildad the Shuhite, when he challenges Job for we are but of yesterday, and we know nothing, for our days on earth are but a shadow (Job 8:9). But, back to Job's friends. I find it intriguing that Satan was able to strip job of almost everything we value in life - family, possessions, health - but that he still had friends. His friends didn't really have much to contribute to resolving Job's theological conundrum. But at least they were there. They cared enough to come. And what a blessing that had to have been! No one would want to be Job, of course, But, if everything is falling down around you, it helps to know that at least somebody cares. Even modestly stressful situations seem that much more livable when shared with someone else! As Aristotle wisely noted, "without friends no one would choose to live, though he had all other goods ... And in poverty and in other misfortunes men think friends are the only refuge." (Nicomachean Ethics, 8). Which brings us to the terrible plight of those who increasingly find themselves going through life alone. As the family and other traditional social institutions deteriorate due to the corrosive forces of modernity and post-modernity, as the constraints that bound us together with one another in mutual networks of common concern continue to decline, more and more people find themselves left alone with fewer resources and hardly anyone else to rely on. And "social media," which in theory ought to be linking us together more and more, may be doing precisely the opposite 0 isolating people from one another, cheating people of the fundamental humane experience of direct inter-personal encounter. Is it any wonder, in this world of increasingly friendless isolation, that our politics is such a mess? With the quietly private death and very public funeral of Sister Evangelina, another fantastic season of Call the Midwife - yet another wonderful British TV hit being shown in this country on PBS - has concluded. The first three seasons were based on the actual memoirs of a post-war British midwife (see photo). Subsequent seasons have taken the show further, with plots highlighting all the major characters and taking us all the way into the 1960s. Specifically this just concluded 5th season took us up to 1961 - and to the terrible crisis of deformed births infamously caused by the drug thalidomide. Set in the poor Poplar district of London's East End, the series combines period-piece nostalgia with serious social commentary. The main characters are a community of Anglican nuns and a group of nurses who live and work with them delivering babies and providing basic nursing care for mothers and children in that poor neighborhood. The midwives, the local doctor and his family, the local vicar, the constable, and other fixtures in the neighborhood sympathetically recreate the strong communal commitments that combined to ameliorate the harsh economic and social conditions of poor East End slum dwellers - the dreary, difficult, deprived, and dangerous lives endured by so many of them. The severe stresses that impacted the lives of countless women and girls, mothers and children, as well as their husbands and boyfriends are acknowledged and approached sympathetically - including situations which the context of the time made it difficult to acknowledge and approach sympathetically (e.g., single motherhood, homosexuality). Particularly powerful is the presentation of the nuns and how they interact with the community - as well as struggle with their own inner spiritual lives. The actual Anglican nuns' community on which the story is based is the Community of Saint John the Divine, an Anglican nursing order founded in 1849. Their Poplar convent is called Nonnatus House and is clearly an important institution in providing both stability and compassion in that depressed environment. Back in the real 1960s, American TV produced Going My Way - a takeoff on the movie of the same name - a one-season TV series that took seriously the ministry of priests in an urban parish and portrayed them responding intelligently and sympathetically to various pastoral situations that arose among their diverse constituencies. Not since then has there been a serious TV series that both seriously and sympathetically depicts the ministry of religious institutions in this way. 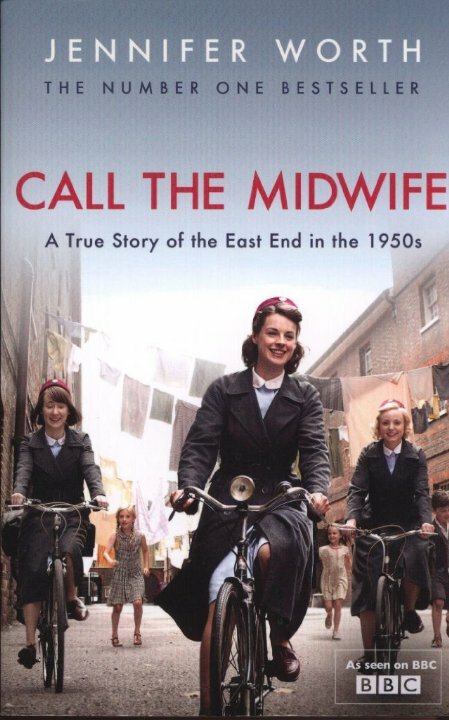 Call the Midwife was based initially on an actual memoir from an experience in which the ministry and life of religious sisters was a key component. That was fortunate, for it gave an opportunity to present something that otherwise would likely not have made it into contemporary TV. "All the Way with LBJ" was originally the catchy slogan of Senate Majority Leader Lyndon B. Johnson's unsuccessful campaign for the Democratic nomination for president in 1960. 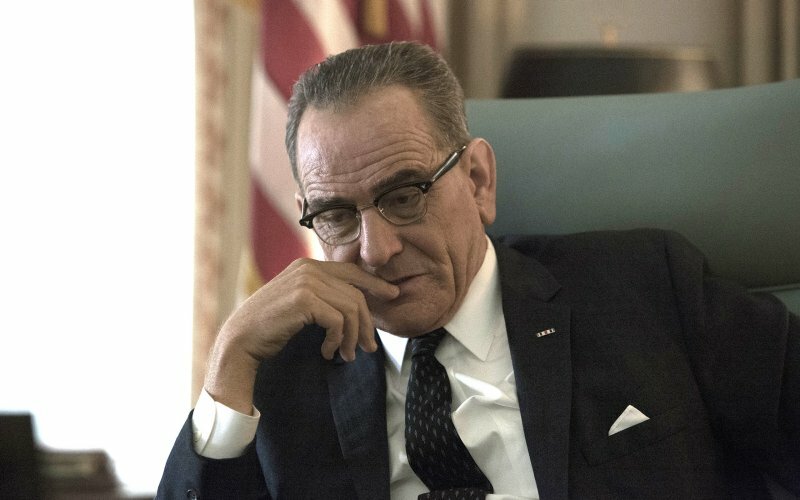 All the Way is the title of an HBO TV drama, that aired last night, based on President Lyndon B. Johnson's first year in the White House (following the assassination of President Kennedy in November 1963). It is based on Robert Schenkkan's stage play of that name name and stars Bryan Cranston, as LBJ, Melissa Leo as Lady Bird, and The West Wing's Bradley Whitford as Senator (and future Vice President) Hubert Humphrey. It focuses, for the most part, on two pivotal events of LBJ's first year in office - the passage of the landmark 1964 Civil Rights Act, something LBJ accomplished that his predecessor might never have been able to do and the consequent conflicts in the run-up to the 1964 Atlantic City Democratic Convention. As LBJ himself famously acknowledged, the conflicts connected with the 1964 Civil Rights Act contributed decisively to the eventual realignment of American political parties. Just as LBJ's forceful leadership on civil rights broke with his party's past history of dependence on the racist "Solid South," Senator Barry Goldwater's vote against that bill broke with the Republican party's long legacy as the party of Lincoln and set the stage for the Republican party to become the new base for race-based political appeals. All of which was critical to the Republican party's recovery from the Goldwater debacle as the Southern-based, white political party it has since evolved into. The show itself evokes the period and the personalities involved very effectively (and in the process highlights LBJ's intense neediness, as well as the complicated characters and needs of other contemporary political figures). It is a good history lesson for those who don't remember the battle for civil rights (or were just not yet around). It captures the seriousness of the conflict and how deeply rooted racism was in American life - especially in the South. Any honest comparison must acknowledge how far we have come as a country (and how indebted we are to LBJ for that progress). But any honest assessment must also reckon with the lasting legacy of America's original sin and how so much still remains to change in this society where race is involved. Race aside, the film effectively portrays what politics was like in the mid-1960s, when, for example, filibusters were still for real and conventions were still arenas for conflict and compromise. In retrospect, however, what stands out so strongly - especially in contrast to our contemporary political dysfunction - is how in a time of great division on something so fundamental as civil rights, about which passion was so intense on both sides, still it was possible to make the system work and to produce results. The system still worked at that time, in a way which we can no longer so easily claim today. And because the system could still work, effective leadership was actually still possible. In contrast, our society today seems no longer able to produce political leaders of the caliber it did then, and our deteriorating political institutions likewise seem almost to guarantee failure in any case. The ever eminently quotable Pius Parsch wrote that Trinity Sunday "may well e regarded as the Church's Te Deum of gratitude over all the blessings of the Christmas and Easter seasons ... a synthesis of Christmas, Epiphany, Easter, Ascension, and Pentecost." Just as God the Father gave his gift of the Holy Spirit to the first disciples at Pentecost to empower them to continue the (now ascended and seated at the Father's right hand) Risen Christ’s life and mission in the world, so too the same Father has given the same Holy Spirit to each one of us to continue his Son’s life and work in our world here and now. The role that Saint Paul ascribes to the Holy Spirit is the same one which Jesus ascribed to the Spirit of truth in the corresponding Gospel reading. And it in turn can be likened, in a certain sense, to the Holy Spirit's activity within the inner life of the Trinity. As the Holy Spirit expresses communion among the three divine Persons within the trinitarian life of God himself, the Holy Spirit also unites us to the Father and the Son, guiding us to all truth [John 16:12-15]. From the day when we were each baptized in the name of the Father, and of the Son, and of the Holy Spirit, the lives of all of us, both individually and as a Church community – have been defined, formed, and shaped by the uniquely awesome mystery of who God is, God’s inner relationships as Father, Son, and Holy Spirit, that define the Triune God’s outward relationship with us and so in turn ours with God. United with one another in the Body of Christ by the Father's gift of the Holy Spirit, the Church is something infinitely more than a sociological institution. It is rather a relationship, rooted in God's inner life and reflected in God's action, a relationship with the potential to transform the world. If we must have primaries to nominate our candidates, then at least voting in them should be restricted to those who actually identify with that particular political party - ans so presumably care, at least somewhat, about the party's principles and electoral prospects. That is the "traditional" primary system i grew up with in New York, Had such a system been in place throughout the United States, Donald Trump's path to the Republican presidential nomination might have been more of a challenge for him. And Bernie Sanders would never have become the problem tha the has become for the Democrats. And a problem he clearly has become - as is increasingly evident after the shameful spectacle of unseemly behavior by Sandres' partisans last weekend in Nevada. How ironic that not so long ago people were worrying about Trump's followers' being misled into thinking that the nominating system was rigged and that the nomination was somehow being stolen from them and about their potentially unseemly behavior at Trump rallies and perhaps this summer at the Republican convention in Cleveland. Now, the Republicans seem to have accepted their destiny, and Trump's calm coronation in Cleveland seems increasingly likely. Meanwhile now it is the Democrats' November prospects that are being endangered by Sanders' demagoguery and his followers' fanaticism. There probably hasn't been a presidential election years so full of surprising twists and turns since perhaps 1968! In the old days, of course, some noisy conflict was common at all conventions, but that was before everyone - especially the party establishments - came to expect conventions to be televised commercials for their candidates' campaigns. In any case, when the noisy conflict is ideological (as with the Democrats in 1968 and 1972 and with the Republicans in 1964 and 1976), the end result is usually negative. Of course, ideologues who care little about the party and the ultimate result in November are less likely to be moved by such considerations. That is why parties need to keep control of their nominating processes and why "open" primaries in which people with no commitment to the party can participate are so problematic. Democrats should never forget that, while Sanders caucuses with the Democrats in the Senate, he has never actually been a Democrat. And neither the Democrats nor the country as a whole need another Ralph Nader-like constituency distorting this year's election as happened in 2000. It is ordination season again. 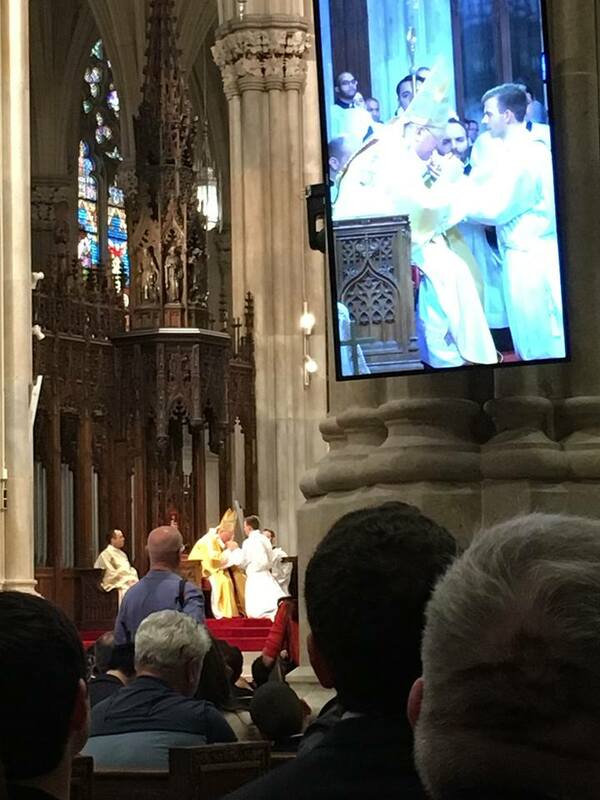 And among the many men being ordained will be those being ordained to the permanent diaconate. The order of deacon is one of the three grades in the sacramental hierarchy of Holy Orders. It has existed in the Church since apostolic times. But over the centuries the functions of deacons were gradually assumed by others. In particular, priests increasingly performed more of the activities deacons had performed in the liturgy, even as the priesthood became the culmination of progression per gradum through a series of minor and major orders. That was the way it was in the Latin Church until the Second Vatican Council provided for the possibility once again of ordaining men as deacons without any intention of their advancing to the priesthood. The reinstitution of the permanent diaconate has been particularly successful in the United States which has at least half of all such ordained permanent deacons in the entire world. Meanwhile, along with abundant theological and other discussions about the exact meaning of the order of deacon, there has been some resurgent interest in the question of female deacons. And last week Pope Francis himself, in response to a question, suggested the possibility of further study of the subject. The document is somewhat on the long side, but well worth reading. It is a comprehensive treatment of the diaconate at various stages in the history of the Church and of the reestablishment of the permanent diaconate in the 20th century. This study of the diaconate showed that historically "a ministry of deaconesses did indeed exist, and that this developed unevenly in different parts of the Church. It seems clear that this ministry was not perceived as simply the feminine equivalent of the masculine diaconate." This study also examined "how the Church through her theology and Magisterium has become more conscious of the sacramental reality of Holy Orders and its three grades." It concluded that the ancient deaconesses "as evidenced by the rite of institution and the functions they exercised were not purely and simply equivalent to the [male] deacons." And it also stressed "the clear distinction between the ministries of the bishop and the priests on the one hand and the diaconal ministry on the other." With those two important points in mind, it concluded that "it pertains to the ministry of discernment which the Lord established in his Church to pronounce authoritatively" regarding the possibility of ordaining women to the diaconate. Assuming the facts already established and the parameters set by those facts, what might a recreated female diaconal order in the Church actually look like? Questions of sacramentality aside, it would seem that some form of the ministry of deaconess has survived in at least some Eastern Churches. 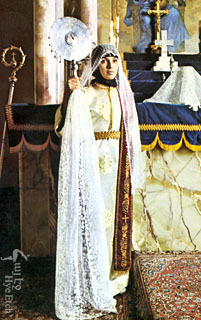 (The photo above purports to be that of a 19th-century Armenian deaconess in Constantinople.) In the West, it would appear that the ministries originally associated with female deacons are either no longer needed in the Church (because of changes in the way we celebrate the sacraments of initiation) or (as apparently also happened with the ministries of male deacons) have simply been assumed by others (e.g., women Religious, some of whom in the past have at times been associated with the ancient image of deaconess). In the case of male deacons, an order which admittedly had at least recognizably survived into modern times if only as a transitional step to the priesthood, a permanent diaconate was still deemed worth reestablishing in the Church because of the distinctive sacramental character of diaconal ordination. In the different but comparable case of female deacons, could a similar argument be made for reestablishing some such order, one which would perhaps play a somewhat similar but also distinctly different role in the Church's organization? Just as there is obviously a place for women Religious alongside men Religious, simultaneously sharing in the charism of religious life but also exercising obviously different charisms, can we stretch our imaginations similarly with regard to the diaconate? In this era which seems so obsessed with minimizing the significance of sexual differentiation, would a distinct female diaconate be too counter-cultural? Whom would that satisfy, and whom would it not? And where would that leave the debate? We sang the Regina Coeli at Mass for the last time in 2016 yesterday. And so now we are back to Ordinary Time! Whenever I am required to use that unimaginative, modern liturgical neologism Ordinary Time, I immediately find myself pulled to counter-images, both religious (e.g., the traditional terms that used to be used to describe this season) or secular, such as the title of Doris Kearns Goodwin's wonderful 1994 book No Ordinary Time: Franklin and Eleanor Roosevelt - The Home Front in World War II, which won the Pulitzer Prize for History in 1995. The amazing couple and the era which Goodwin recalled in her book were indeed anything but ordinary. In fact, one would be hard pressed to identify what era in modern history has really been ordinary. If Goodwin's era of the "Greatest Generation" was extraordinary in a heroic kind of way, then the dissolution of their cultural world, that in my lifetime recognizably began in the 1960s, has surely likewise been "no ordinary time." In fact, secular time is seldom if ever ordinary. But then neither is sacred time. Yesterday, on Pentecost, I called Ordinary Time "the time of fulfillment, the time of the Church, when the promise of Christ’s resurrection should be reflected in our ordinary lives." Pentecost, I suggested, "ritualizes annually what happens weekly with the transition from Sunday to Monday. From our Sunday celebration around the unleavened bread which has become the body of our Risen Lord, we are sent forth, filled with the Holy Spirit, to renew the face of the earth as the Risen Christ’s permanent presence in the leavened bread of our daily lives in our ordinary world." That connection may have been more obvious back when this season was labelled "Time After Pentecost" and its Sundays numbered accordingly. However that may be, the connection remains. Someone recently referred to Ordinary Time as "our long slog toward Advent." If Pentecost points us back to the beginning of our communal life as the Church in the world, Advent points us ahead to the finality for which we claim to await with joyful hope and which in any case challenges us by its sheer inevitability to make the most of the present, however long or short it turns out to be. As Saint Irenaeus (130-202) taught (Adversus Haereses): "Now, through the Spirit, the image and inscription of the Father and the Son have been given to us, and it is our duty to use the coin committed to our charge and make it yield a rich profit for the Lord." Until modern times, Pentecost was observed very grandly. It was celebrated as one of the greatest festivals of the Church’s calendar - on a par with Easter. It had an octave equal to Easter’s and even had its own Saturday morning vigil (complete with a blessing of baptismal water like at Easter). At one time, Kings and Queens were required to wear their crowns publicly on Pentecost. About all that’s left of that now in Europe is a 3-day holiday weekend. And here in the United States we don’t even have that! “Pentecost” is a Greek word referring to the 50th day – originally the 50th day after Passover. Its Hebrew name, Shavuot, means “weeks,” a reference to the “week” of seven weeks that began with Passover. It originated as a kind of thanksgiving festival for the late spring, early summer harvest (which is why the Book of Ruth, which culminates during the wheat harvest, is read in the synagogue on Shavuot). Whereas at Passover, seven weeks earlier, only unleavened bread had been used, at Pentecost ordinary bread was offered in the form of fully leavened loaves. It was to celebrate this festival that devout Jews from every nation under heaven came as pilgrims to Jerusalem, in the familiar story in the Acts of the Apostles. By then, Pentecost had become a commemoration of the covenant at Mount Sinai, the giving of the 10 commandments, which (according to Exodus) had happened just about seven weeks after the exodus from Egypt. Just as summer fulfills the promise of spring, the covenant at Mount Sinai fulfilled the promise of Israelite nationhood of which the exodus had been but the beginning. Likewise, the coming of the Holy Spirit fulfilled the promise of the resurrection, transforming the disciples from fearful followers of a now absent Jesus into faith-filled witnesses empowered transform the whole world. In our current calendar, Pentecost marks the transition from Easter to Ordinary Time, the time of fulfillment, the time of the Church, when the promise of Christ’s resurrection should be reflected in our ordinary lives. As his Church, we worship the Risen Lord, now ascended to heaven and seated at his Father’s right hand. Meanwhile, as his Church here on earth, we continue Christ’s work in the world. We do this empowered by the Risen Lord’s parting gift of the Holy spirit to his Church. Years ago, when most of us were preparing for Confirmation, we memorized the seven gifts of the Holy Spirit – wisdom, understanding, counsel, fortitude, knowledge, piety, and the fear of the Lord. We call them the gifts of the Holy Spirit, because we don’t produce them on our own. They are given to us – to transform us into true children of God and to enable us to live in a new way. The results of that transformation, the visible effects we experience of the Holy Spirit active in our lives are what we call the fruits of the Holy Spirit. We memorized them too - charity, joy, peace, patience, kindness, goodness, generosity, gentleness, faithfulness, modesty, self-control, chastity. As a young man growing up in New York the Jacksonian era, Servant of God Isaac Hecker, the future founder of the Paulist Fathers gravitated first to politics as the vehicle for the renewal of society. By his mid-20s, however, Hecker had become a Catholic and cam to envision the renewal of society in religious terms 0 in terms of openness to the promptings of the Holy Spirit and the effects of the Holy Spirit’s gifts in all aspects of life. “The radical and adequate remedy for all the evils of our age, and the source of all true progress,” Hecker confidently claimed, “consist in increased attention and fidelity to the action of the Holy spirit in the soul.” [The Church and the Age]. That’s how the promise of the resurrection is fulfilled and expresses its effect in our ordinary lives. Pentecost ritualizes annually what happens weekly with the transition from Sunday to Monday. From our Sunday celebration around the unleavened bread which has become the body of our Risen Lord, we are sent forth, filled with the Holy Spirit, to renew the face of the earth as the Risen Christ’s permanent presence in the leavened bread of our daily lives in the world. Homily for Pentecost Sunday, Immaculate Conception Church, Knoxville, TN, May 15, 2016. This 1913 folk-art rendering of the Ascension is one of 3 historic ceiling paintings at Immaculate Conception Church, Knoxville, TN. When I was a boy, one of the things that struck me as unattractive about a religious vocation was the likelihood of having to move periodically from place to place, the way that priests in religious communities were transferred and reassigned with some regularity. As a child, I had a strong craving for stability, and I dreaded the prospect of ever having to move myself or say good-bye to someone I cared about who was moving. I admired – but did not envy – my grandparents, who had left behind in southern Italy all that was familiar and dear to them to cross the Atlantic as immigrants in America. And I admired – but again did not envy or desire to imitate – missionaries, who dutifully left their homelands for faraway places to fulfill the Risen Christ’s final command to his disciples. Since then, of course, my life has taken all sorts of unexpected twists and turns, and I have moved around a lot more than I had ever expected. Meanwhile, modern technologies have made separation somewhat less final – and certainly much more manageable – than it was for my immigrant grandparents or past generations of heroic missionaries. But I still find farewells and departures – whether my own or that of some friend or colleague - extremely stressful. So I can easily imagine how distressed Jesus’ disciples must have been at the prospect of his departure. The fact that they kept looking intently at the sky as he was going, until two men dressed in white garments appeared to tell them to stop – that, I think, tells us how they felt. If saying good-bye is, in fact, one of the most stressful of human activities, then this was the good-bye to end all good-byes! Some of us are old enough to remember when, after the Gospel on Ascension Day, the Easter Candle – our very visible symbol of the presence of the Risen Christ – was ceremonially extinguished. Even more dramatically, in certain places the Easter Candle (or sometimes an image of the Risen Lord himself) might be hoisted up into the Church’s roof until it disappeared. The point of such customs, of course, was to dramatize that Jesus is now gone, and that we are left behind. 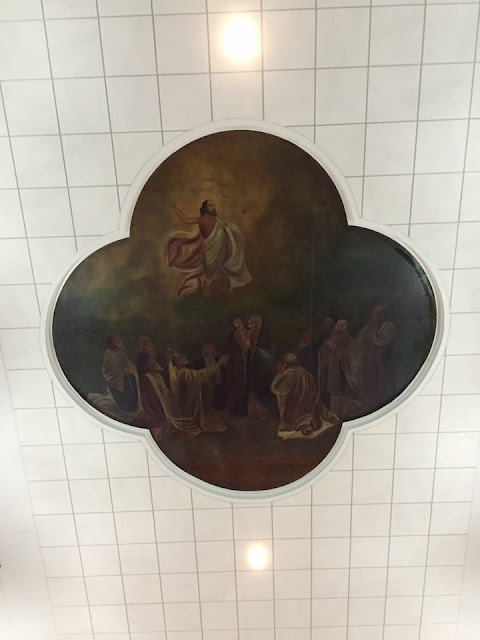 Historically speaking, the Ascension commemorates the end of the short period when the Risen Christ appeared periodically to his disciples after the resurrection. After the Ascension, those appearances ended. And the disciples were left behind to continue what he had started. But not quite alone, since Christ continues in his Church through his promised gift of the Holy Spirit. “I am sending the promise of my Father upon you,” the departing Jesus said to his disciples, “so stay in the city until you are clothed with power from on high [Luke 24:49]. So the break is not so complete as it seemed, our separation not so definitive. Jesus may have moved away, but somehow we are still connected. In fact the Ascension, the going away, is a sort of prerequisite for the next act, the history of the Church. Of course, one obvious question is where has he gone? He is, as we say Sunday after Sunday in the Creed, seated at the right hand of the Father. The Ascension is the prerequisite for Jesus’ enthronement, where again we remain connected. On the one hand, while ascended and seated above, he is still really with us here, through the power of the Holy Spirit and in the sacraments we celebrate. On the other hand, we too are also in some sense with him there. As we say in today’s Eucharistic Prayer, we celebrate the most sacred day on which your Only begotten Son, our Lord, placed at the right hand of your glory our weak human nature, which he had united to himself. In having his Son’s human nature enthroned at his side in heaven, God now has at his side in some sense the whole human world which his Son embraced in himself and experienced to the full – the human world of our lives, our loves, our work, our play, our successes, our failures. And so now, having experienced our world with us (and in the process having invested it with more meaning that it would ever otherwise have had), God in turn now shares his world with us. For where Christ has gone, there we hope to follow. Where he is now, there we hope to be. So the Ascension is about us, as well as about Jesus – and not just about our being left behind, but about what’s now in store for us, thanks to Jesus’ resurrection and ascension, and about what goes on in the meantime. The Ascension sets the stage for that hoped-for future, which we get a glimpse of already in Jesus, who, although already ascended, invites us to approach him – as the epistle says with a sincere heart and in absolute trust [Hebrews 10:22]. Confident that he lives forever to intercede on our behalf [Hebrews 7:25] and will in due time return again, we remain behind to continue what he started, to be his witnesses to the ends of the earth [Acts 1:1-11]. Homily for the Ascension of the Lord, Immaculate Conception Church, Knoxville, TN, May 8, 2016. Yesterday, Pope Francis became the latest recipient of the Charlemagne Prize. That is the EU's annual exercise in self-promotion, which was once awarded to European statesmen like Robert Schuman, Paul Henri Spaak, Alcide deGasperi, and Konrad Adenauer, but more recently has actually been awarded (in 2002) to the euro! Charlemagne, whose Frankish-Roman empire corresponded more or less to the original 6-nation European Common Market is as good a patron as any for the "European Project." Charlemagne's empire fell apart after his death, but the old idea of a Western Latin "Roman" empire outlasted him - in part because, while Charlemagne himself had reigned in Aachen and his successors as Holy Roman Emperors reigned from various other northern and central European cities, that earlier version of the "European Project" had a spiritual partner in Rome, the heart of Western Christendom, which was more than a partner but in a real sense the soul of that "European Project." Receiving the award in the Sala Regia, in the presence of various European statesmen (and the King of Spain), Pope Francis spoke eloquently about Europe, with obvious references to the plight of contemporary migrants in Europe. I dream of a Europe where being a migrant is not a crime but a summons to greater commitment on behalf of the dignity of every human being. Diagnosing the symptoms of European malaise, he challenged his hearers with a call for a new humanism based on three capacities: the capacity to integrate, the capacity for dialogue and the capacity to generate. In his diagnosis, Pope Francis referenced his earlier use of the image of Europe as a "grandmother" and a growing impression that Europe is weary, aging, no longer fertile and vital, that the great ideals that inspired Europe seem to have lost their appeal. There is an impression that Europe is declining, that it has lost its ability to be innovative and creative, and that it is more concerned with preserving and dominating spaces than with generating processes of inclusion and change. There is an impression that Europe is tending to become increasingly “entrenched”, rather than open to initiating new social processes capable of engaging all individuals and groups in the search for new and productive solutions to current problems. The only thing missing from that otherwise on-target analysis was any consideration of how the post-Christian, post-democratic EU itself may be one of the major contributing causes of Europe's malaise! What Does "Being Presidential" Mean?